All of my designs are created to be one-of-a-kind. They are available with a fish hook, with a post or as a clip on. They are also available in a variety of colors and designs. Please contact me with any questions at kp.forney@gmail.com. This stunning dichroitic bead is mounted on a sliver filigree. I made the bead using gold, green, blue and black dichroitic glass. Suspended from the beads are mint green Swarovski crystals. 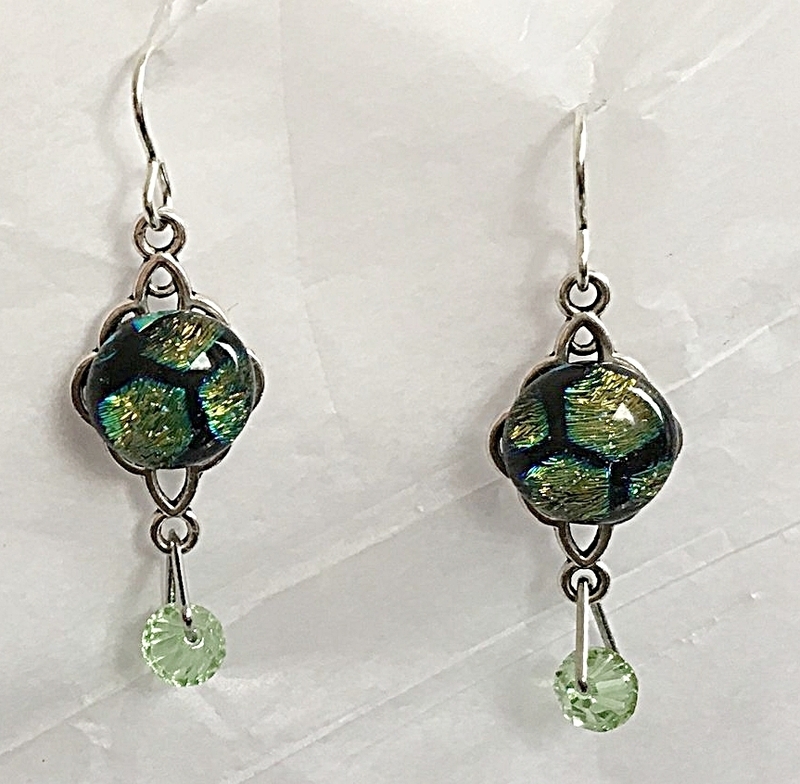 The earrings measure 2 inches in length and have a silver plated fishhook finding. These dichroic blue earrings are perfect for any occasion. The bead is made from a patter of dichroic glass in the shades of blue and purple mounted on black glass. The bead is attached to a filigree which has a blue crystal suspended from it that sparkles as it reflects the light. The earring have a silver plated fishhook for the ear. Available in several shades of dichroic glass.